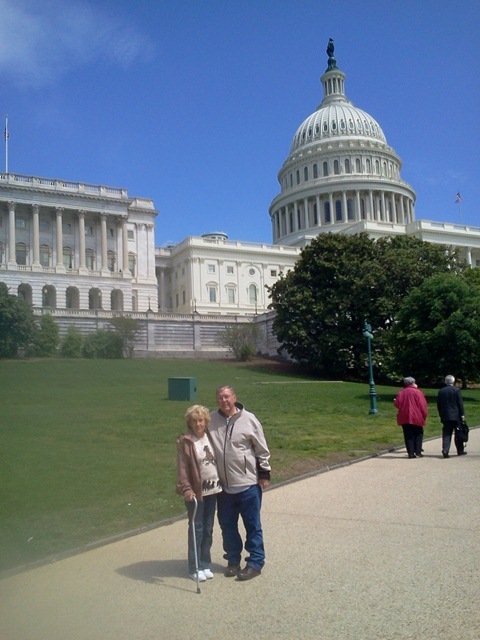 This year's Goodwill Industries International Spring Conference requested that Jackie and Jim Weimer, clients of the Colorado AgrAbility Project, attend the Washington, D.C. "Hill" visits as part of Advocacy Day. The Weimers had the opportunity to learn the legislative basics: how to make an effective Hill visit and tell their story to members of Congress. They made an effective plea for continued funding for the Farm Bill, asking their congressmen and congresswomen to remember rural issues and thanking them for supporting the AgrAbility projects across the country. Candiss Leathers, Colorado Rehabilitation specialist with the Colorado project, escorted the Weimers.